The NOA Elite Bariatric Bed combines smart design with significant savings. 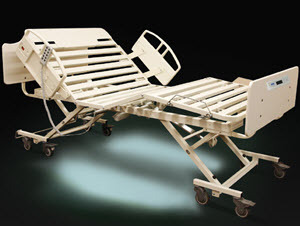 NOA Medical has once again responded to the requests of the market and designed a Bariatric Bed that is reasonably priced and will accommodate virtually all of the Bariatric Bed requirements in your facility. There is no longer any need to rent a "hospital" bed for your larger residents. The new NOA Bariatric Elite Bed is designed for 800 pound work load, and is sturdy throughout, with four motors providing the typical high/low, head and knee functions found on better resident room beds. We are so confident of the strength of the bed that we will warranty the deck for life. 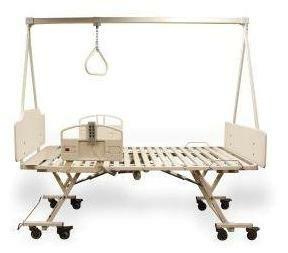 In addition the NOA Elite Bariatric Bed is priced to include shipping to your facility. bed width, with side rails 46.0" 46.0"
sleep deck length 80.0" 84.0"
overall bed length 84.5" 88.5"
deck height range 9.5" to 30" 9.5" to 30"